Acca Kappa Ebony Black Bristle Hair Brush. 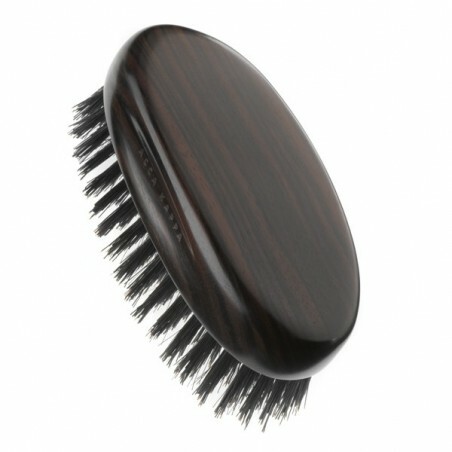 This Italian design travel size hair brush has been made using natural bristles. The handle is elegant ebony wood from Makassar, a wood renowned for its beautiful grain, sturdiness and hardness. 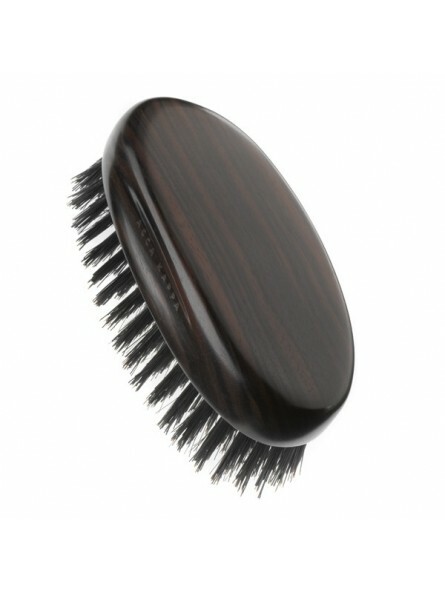 The design of this brush makes it comfortable to use and easy to grip allowing you to brush your hair easily. The brush has been designed to protect and look after your hair without damaging your scalp or the hairs themselves. The wood has been glazed using increasingly thinner sandpaper and hand polished with wax. Acca Kappa has been designing and creating beautiful personal care products for over a century.